If you have ever applied for Social Security Disability benefits, you know that the wait time can be very lengthy. Some people wait many months or even years to get approved for benefits. However, if you have been diagnosed with a certain disease, the process may be expedited. Social Security Disability offers a Compassionate Allowances Program, which currently has 233 medical conditions that are on the fast track for approval. These diseases include primarily brain disorders and different types of cancers. This program has been beneficial for those with severe conditions that are terminal in nature. For those who suffer from these conditions, they can receive approval in just weeks, once their diagnosis has been confirmed by the Social Security Administration. This is compared to the many months or even years that the process can sometimes take. The Social Security Administration considers a person disabled if they cannot work due to a disabling condition that will last for at least one year or result in death. Under the Compassionate Allowances Program, applicants are able to push through the process quickly because their condition is so severe that they obviously meet the standards. Their application is immediately flagged for review, allowing them to get approved in a timely manner. When filing an application for Social Security Disability benefits under the Compassionate Allowances Program, it is important to file the claim quickly and accurately. If you do not fill out the form in its entirety or do not include the required documentation, it could result in delays. You do not want to make any mistakes on the disability form. These mistakes can be costly, resulting in delays. When you have a terminal condition that could lead to death in a matter of months, you do not want to experience a delay. This is why seeking assistance is a good idea. There may be free or low-cost programs in your area that can help. You can also seek help from a lawyer who specializes in Social Security Disability benefit claims and can serve as your advocate. They can ensure your form is filled out properly and answer any questions you have. The process for obtaining Social Security Disability benefits can take a long time. If you have a medical condition that is considered a compassionate allowance, you may be able to receive your benefit payments much quicker. 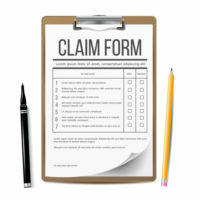 When filing for benefits, it helps to have an advocate on your side. You need someone who will fight for your best interests. The Law Office of Michael Lawrence Varon can help. He can help get your claim approved quickly so you can pay for necessities. Call 914-294-2145 to schedule a free consultation.